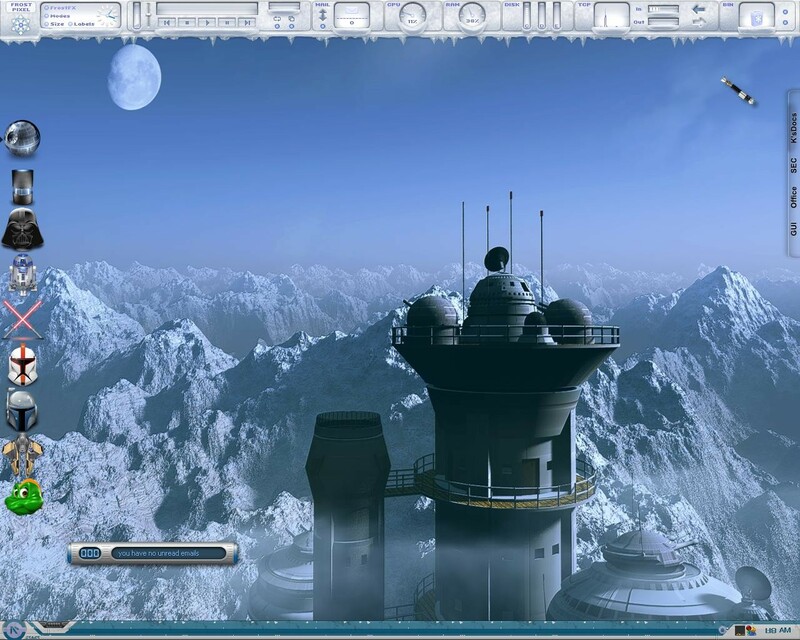 I wanted to show this wallpaper (Frontier by kenwas) with MikeB314's OldRepublic WB. It reminded me of the Hoth battle in Empire Strikes back. Hope you enjoy! I normally never comment on screenshots, but in your case, I must admit it looks good!